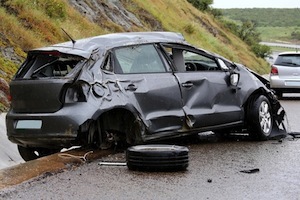 Hit and run auto accidents often result in serious injuries. Although leaving the scene of a car accident is a crime, and often causes significant injury or death, the issue still occurs. A big reason why a driver commits a hit and run can be due to the driver having no insurance or driver's license. Sometimes, drivers involved in an auto accident are simply afraid to face the consequences of their actions. Regardless, the results of a hit and run are often tragic. In Georgia, several people die every day, and dozens more are injured, in hit and run auto accidents. If a person is the victim of a hit and run car accident, it is extremely important to contact an attorney as soon as possible. An injured person may be entitled to compensation from their own insurance company for a car accident involving a hit and run driver, but there is often a very limited period of time to pursue such claims. At Katz Wright Fleming Dodson & Mildenhall LLC, our attorneys are extremely experienced at pursuing insurance claims related to hit and run drivers. In fact, we dedicate our knowledge, skill and experience every day to helping victims of hit and run accidents in and near Atlanta recover compensation for their injuries. All drivers involved in an automobile accident are required under Georgia law to immediately stop or return to the scene if the accident caused injury, death, or damage to a vehicle. The drivers have a duty to exchange information with one another, and to render aid or get help if one of the drivers is seriously injured and cannot get to a hospital without assistance. A knowing failure to stop and comply with the law is a misdemeanor. But if the accident caused death or serious injury, then the hit and run is a felony offense, and the guilty party can face up to five years in prison. The difficulty is that oftentimes a hit and run victim is not able to identify the driver or the vehicle that caused the accident. In such cases, what can they do? How can you recover compensation for your injuries if you cannot identify the driver or the car that hit you? If you have uninsured motorist coverage on your automobile insurance policy, you can file a claim with your own insurance company. Normally, uninsured motorist/underinsured motorist (UM/UIM) coverage applies when you are hit by a driver who 1) is not carrying any liability insurance, or 2) does not have enough insurance to cover your costs. However, UM can also be used in the case of a hit and run. You are not required by law to carry UM/UIM coverage, but your insurance company is required to offer it. Adding UM coverage to your automotive policy is relatively inexpensive considering the benefit, so check your policy to make sure you have this important piece of coverage. It is very important to understand that even though you are filing a claim with your own insurer, you should still be represented by an attorney. Filing a claim puts your interests against the interests of your insurer, and they will likely try to minimize their payout to you, just as the other driver's insurer would if you were suing them. Make sure you visit with an experienced Atlanta auto accident attorney before you give any statements to any insurance company, and before you sign any settlement documents. If you or a loved one been injured in a hit and run accident, contact the experienced lawyers at Katz Wright Fleming Dodson & Mildenhall LLC at (404) 460-0101 for a free consultation to discuss your rights to compensation. We represent clients across Georgia, including the cities of Atlanta, Roswell, Rome, Macon and Jonesboro.